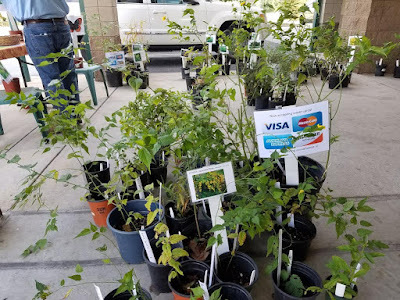 The Spring Plant Sale is the Clubs major fund raiser but the Fall sale contributes significantly too. 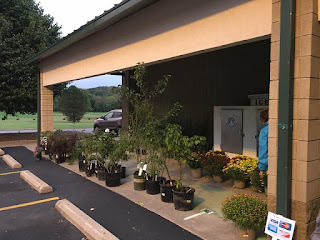 It is held in the parking lot of Allen's Grocery Store on Hwy 71 only when the Club Members have enough plants and bulbs to sell. 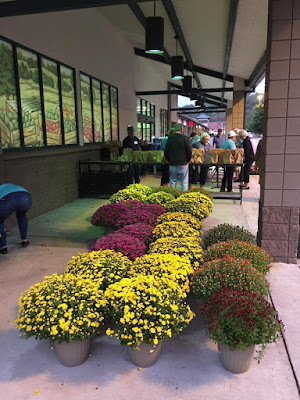 The Fall Plant Sale on October 7th was a huge success! Wow! I am so proud of all my team who pulled off a successful Fall Plant Sale. Record Sales! Thank you so much for your contributions and your help. Fabulous day yesterday, and we exceeded our expectations with funds coming in at over $1600. I want to really thank the huge group of folks who pitched in and helped out! 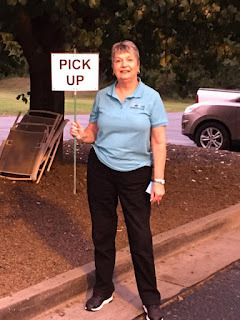 And I really want to thank Virginia Halman for going above and beyond as well as Tom Irwin, Pat Cibirka, Val Ellis, Lou Jasper, Janice Kennedy, Steve and Linda Rugan, Barb Templin, Nancy Bumgardner, Debbie Edmunds, Karen Welch and many others not forgotten just a bit of brain fade presently. And a very special thanks to Lazette Cox and her husband for helping load and unload and bringing their own trailer! We had many BVGC members who contributed fabulous plants, bulbs and rhizomes, thank you for your hard work as well! Tony, I know you are the Prez and do not expect many thank yous, but you are an inspiration to me and are ALWAYS there to help out physically and with encouraging words and guidance. You work so tirelessly and are a true leader. 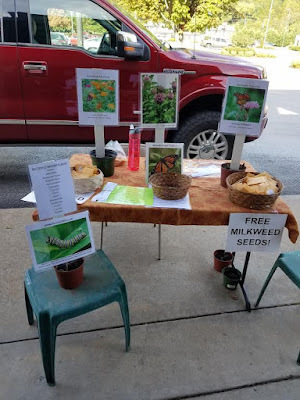 Plant milkweed and help Monarchs! you haven't done a thing. You are just talking.